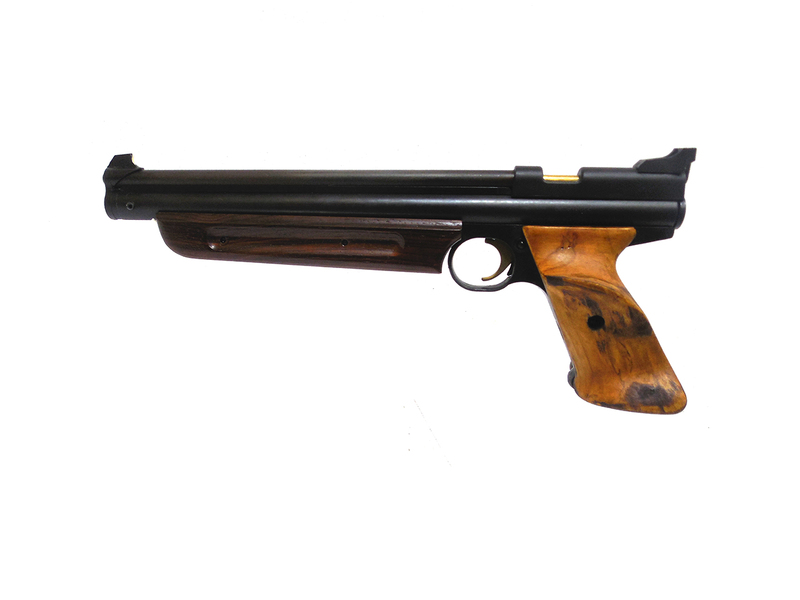 This Crosman American Classic Model 1377 is a .177 caliber single shot, multi pump pellet pistol. These guns are very popular for modifying and are lots of fun to use as is or to convert into a short carbine. 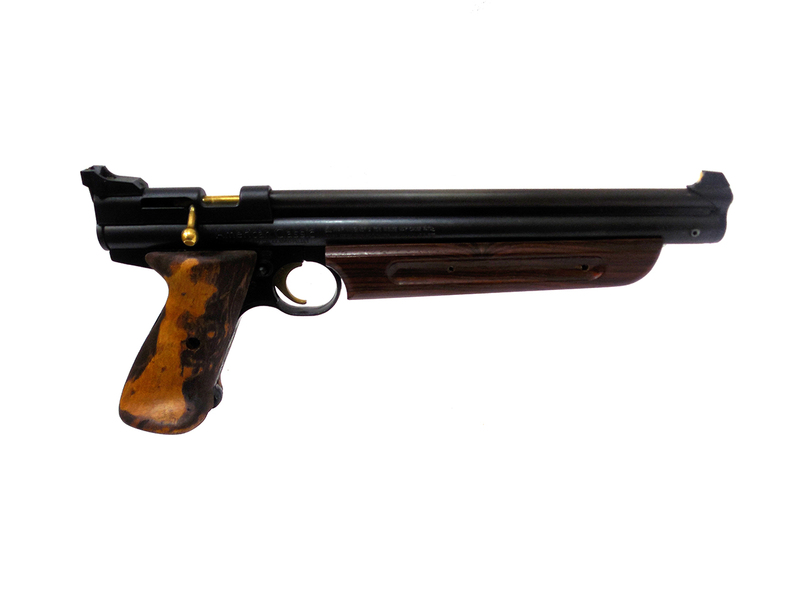 There are lots of aftermarket parts for this gun available. 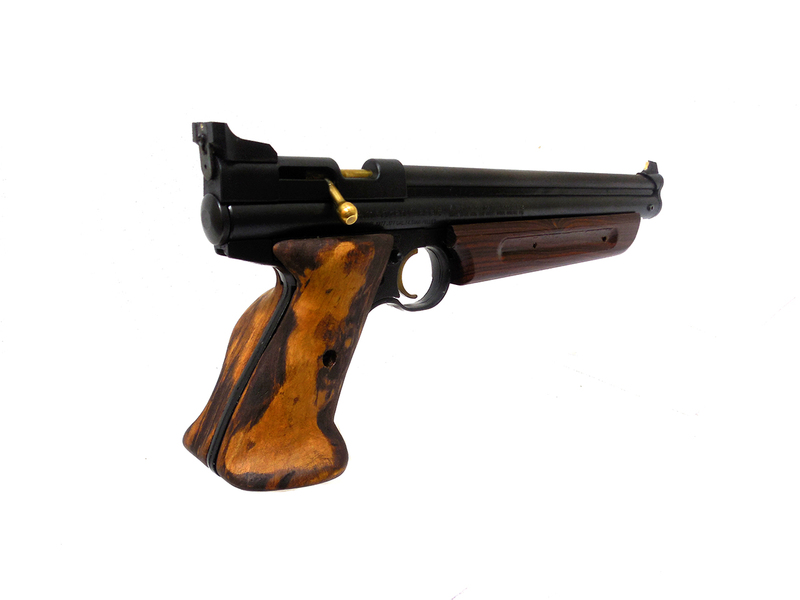 This one comes with a custom pistol grip, and wooden forearm pump handle. The metal finish is beginning to thin on the barrel, but is nice and even. 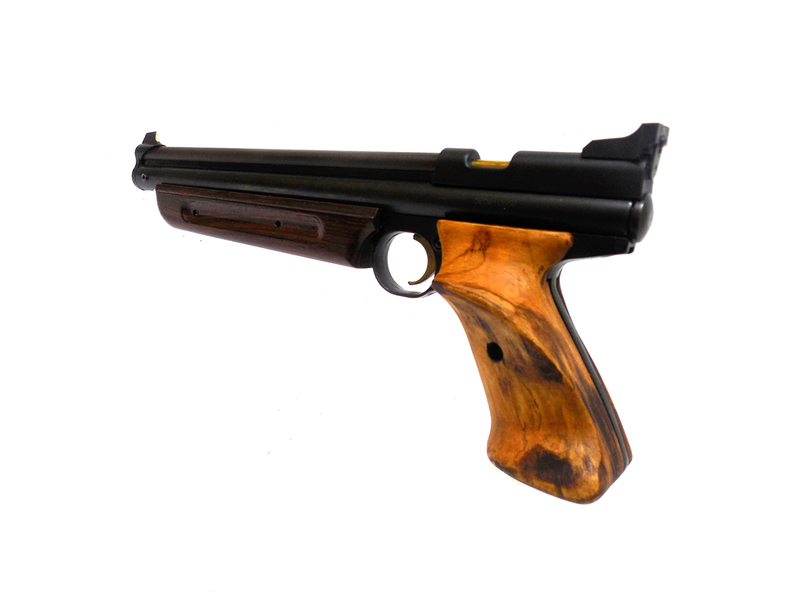 The wood stock and forearm are in good condition. This gun was cleaned, lubed, and resealed in our shop. Velocity tested at around 580 fps using lead pellets.